Mrs. Joan C. Doebler age 79 of Pekin, passed away Friday, March 16 at Providence Nursing Home in New Albany. Mrs. Doebler was born October 15, 1938 in Washington County, Indiana the daughter of Lorenzo Randal and Alberta Marie McClellan Floyd. She was a member of Bunker Hill Christian Church. She was a retired florist for Cauble’s Florist, an Avon Representative and Secretary for Neon Art Signs. Joan is survived by her husband: Richard A. Doebler. They were married February 23, 1957. 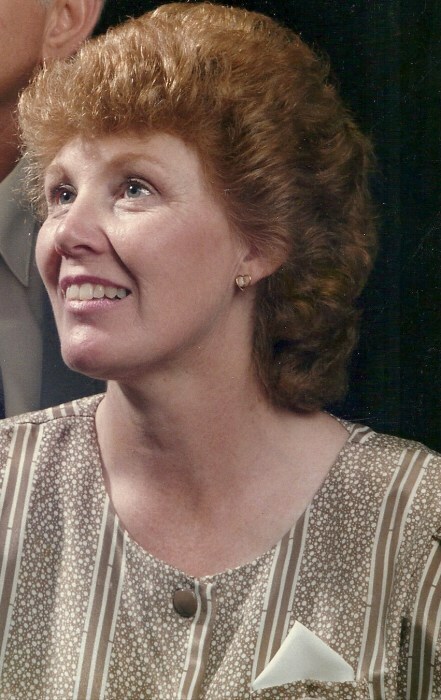 She is also survived by three sons: Dennis A. Doebler of New Albany, Thomas A. Doebler (Jeannie) of Pekin, and Gregory J. Doebler (Ramona) of Scottsburg, a daughter: Patti Calloway (Paul) of Pekin, a sister: Gerri Despain of Jeffersonville, 9 grandchildren and 7 great-grandchildren. She was preceded in death by two brothers: Charles Floyd and Irvin Floyd, two sisters: Mildred Jackson and Louise Ramsay, and her parents. Funeral services will be held Tuesday at 11:00AM at Bunker Hill Christian Church. Burial will follow in Olive Branch Cemetery. Visitation will be Monday from 4-8PM at Weathers Funeral Home and Tuesday from 9AM-time of service at the church.